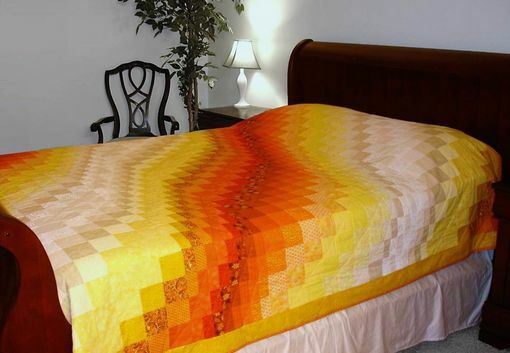 This queen size bargello quilt measures 90"x90". 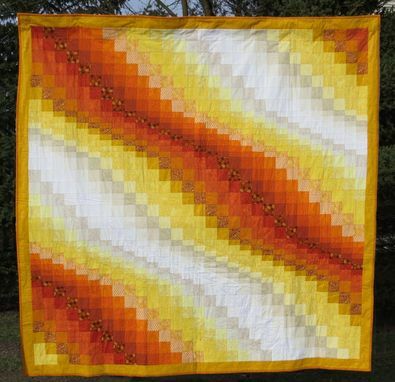 Bargello is the style of color progression, where the slope of the illusion is metered by the width of each subsequent row or column. Some patterns can get very complicated with twists and turns in the color scheme, but this one I kept as a simple slide and made my own pattern. 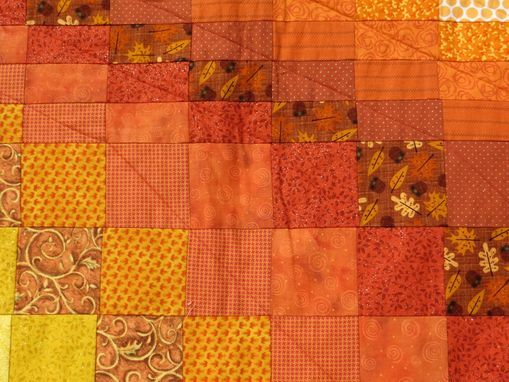 The quilt used 29 different fabrics, ranging from burnt orange to bright white. 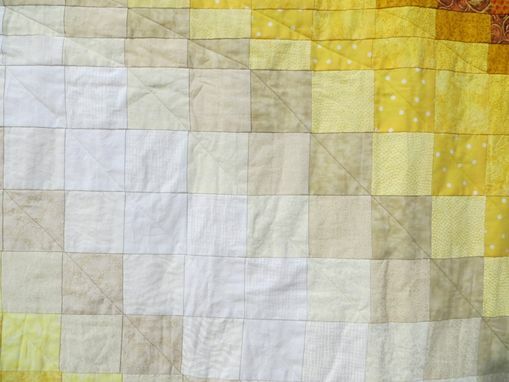 All materials are quilter's grade 100% cotton, and the batting is 100% natural Warm and Natural cotton. Machine pieced and quilted. All fabrics are pre-washed.